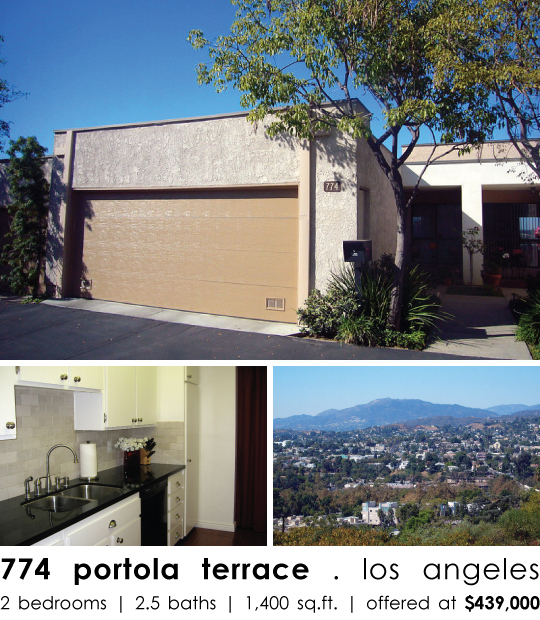 Located in the desirable community of Portola Terrace, this 2 bedroom, 2.5 bath townhouse offers stunning panoramic views of city lights and the San Gabriel Mountains. A spacious floor plan features a formal dining room, upgraded kitchen with granite counter tops, and living room with cozy fireplace. Enjoy breathtaking sunset views from the balcony. The luxurious master suite boasts a large walk-in closet and a serene view. Other amenities include a separate laundry room and attached 2-car garage with plenty of storage. A community pool and spa completes this lovely Monterey Hills residence. Conveniently located near Old Town Pasadena, USC Health Sciences Campus, downtown Los Angeles, and minutes to major freeways and public transportation.